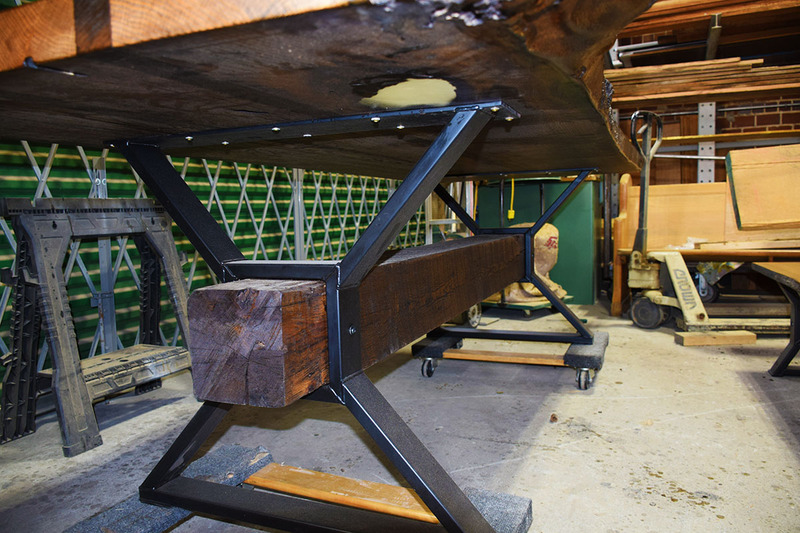 Our master craftsmen and woodworkers create some of the most unique one–of-a- kind tables you’ll find anywhere using Live Edge Slab lumber and other salvaged and reclaimed materials. 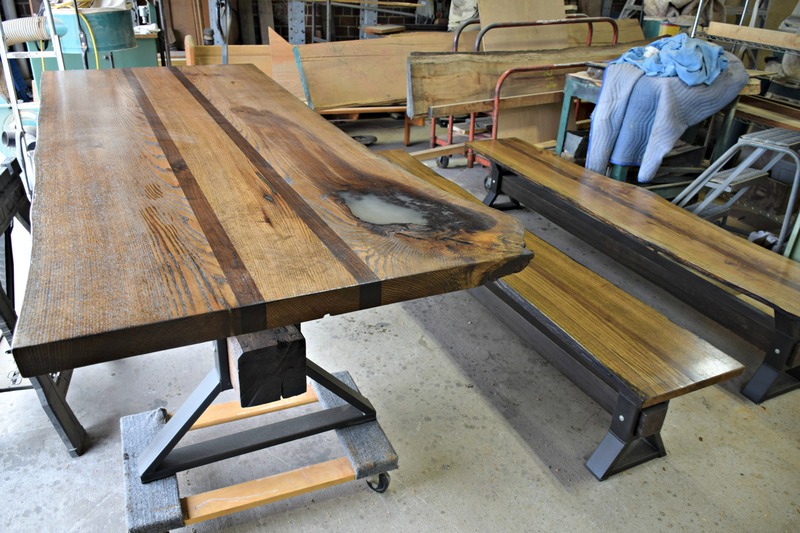 These Live Edge Tables are so popular not only because they’re so sturdy, but because their rugged elegance just can’t be matched. 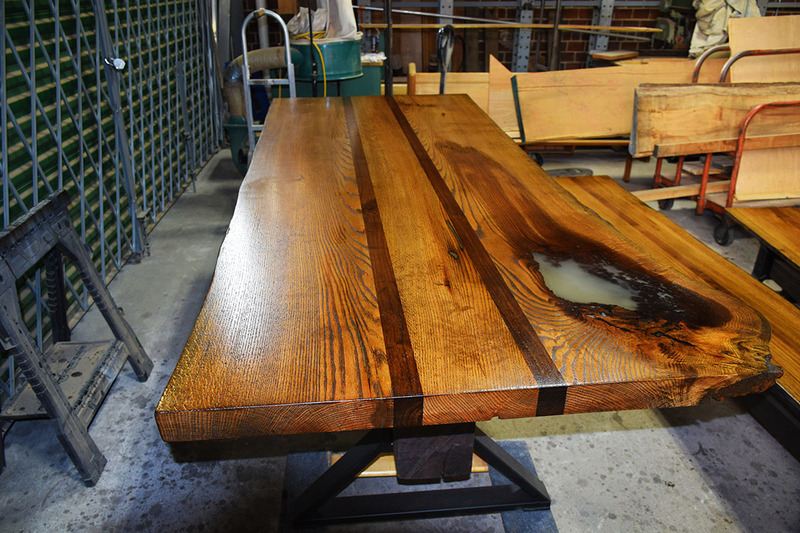 The natural beauty of the wood in live edge dining tables, coffee tables, night stands and more, is simply breath taking. 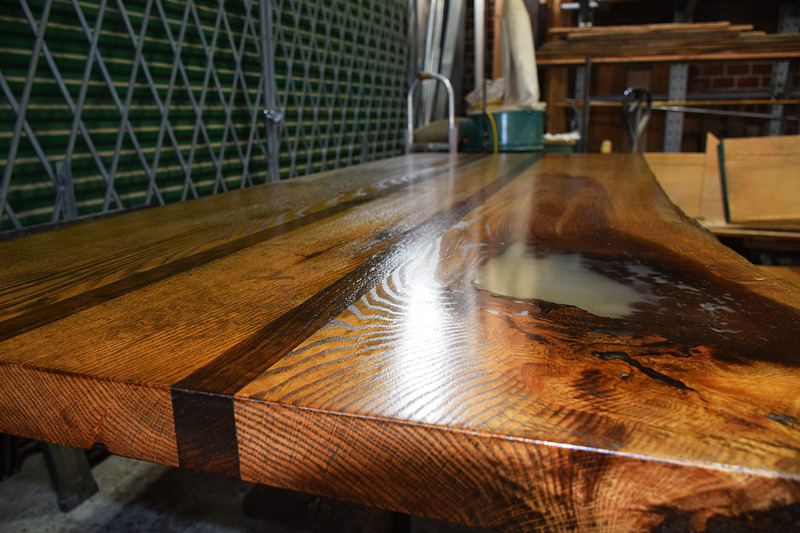 A natural masterpiece, the live edge table’s that our craftsmen build are handcrafted from sustainably harvested timber and are built to last! The table shown here was built by our own shop manager Billy Leeka with some help from other members of our fabrications team. From start to finish, this was an awesome project! 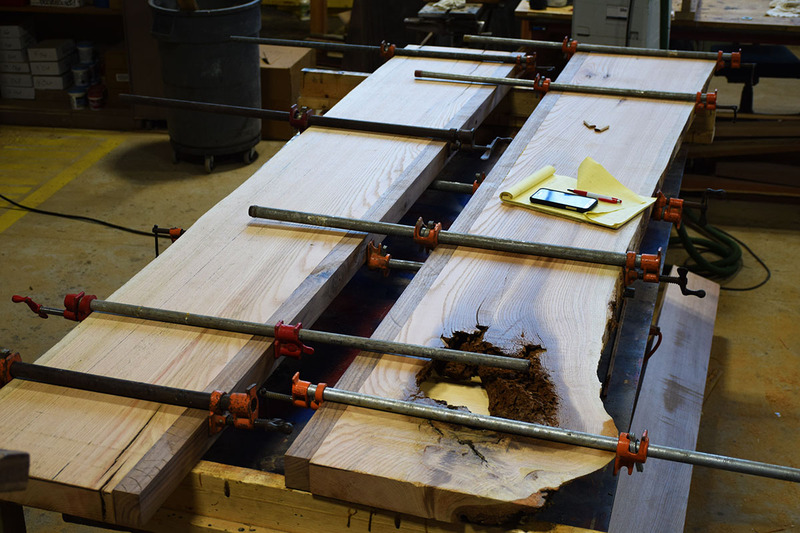 Billy secures strips of Black Walnut to the Live Edge Slabs. 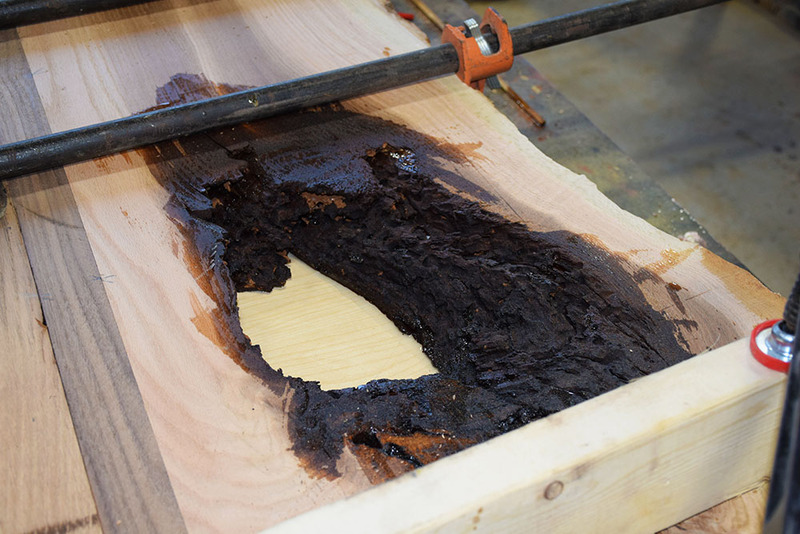 Billy prepares the hole in one of the Live Edge slabs to be filled with resin. 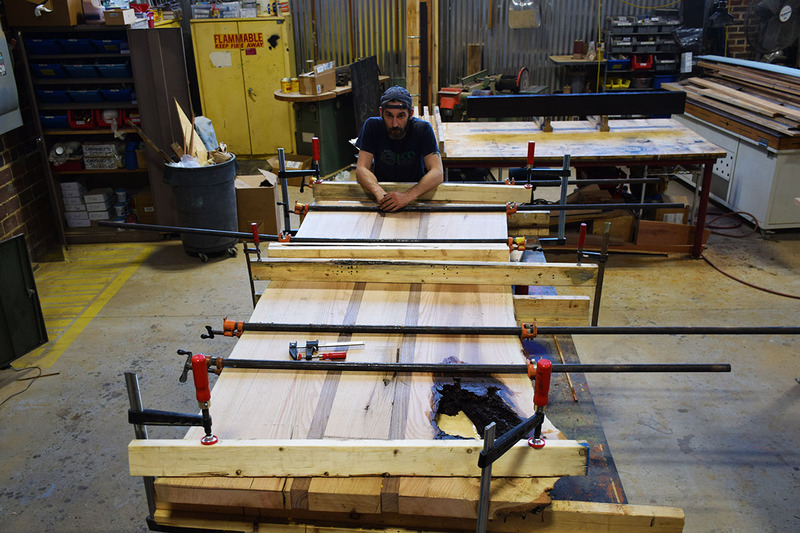 Billy has now joined the Live Edge slabs of Oak, center piece of Oak and the Black Walnut strips. 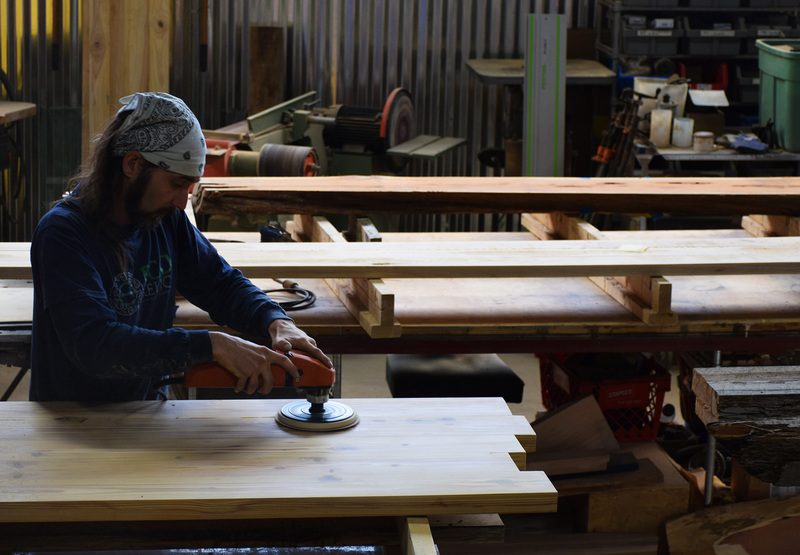 Eco Relics fabricator Chris Lawson assisting in the planing process. Billy sanding the tops on another project to a smooth finish. Custom Live Edge table with matching benches, awaiting final coat. 100 year old pine beam from old Georgia Tobacco barn. 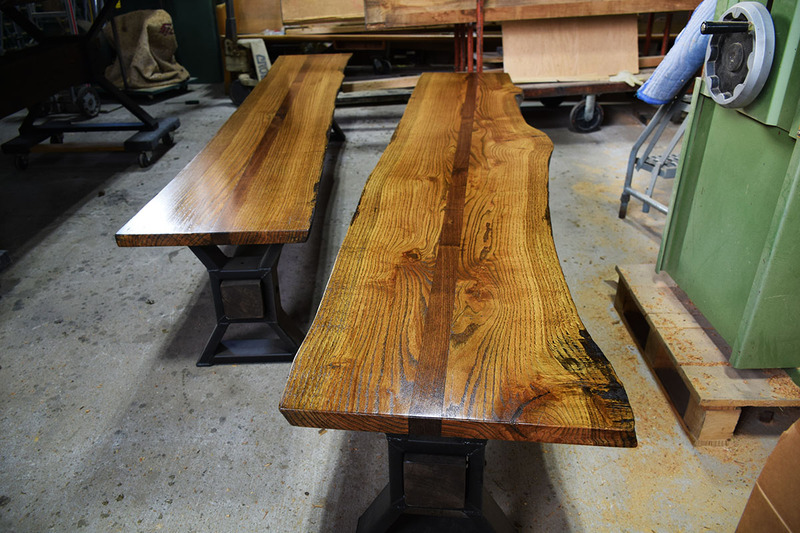 Custom Live Edge Table Benches after the final coat. Custom Live Edge Table with the final coat. Custom Live Edge Table with matching benches. Finished and looking good! 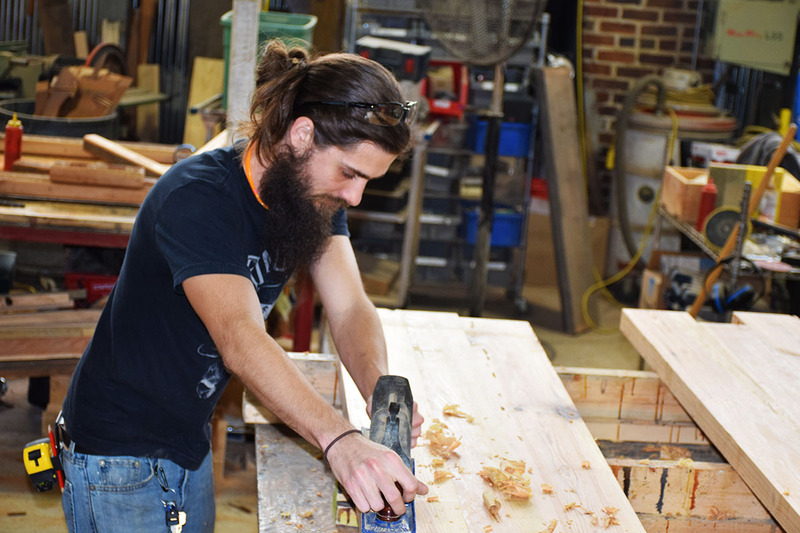 Contact our custom fabrications crew today, because you’re just one conversation away from owning one of these beautiful tables made from Live Edge slab lumber!